made of heavy tafeta silk, this suit is high on club it . 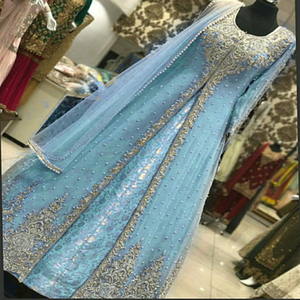 Beautifully Embroidered Suit to give you the Most Attractive look!!!. Can be easily customised in various colours and sizes as per your choice. Please feel free to contact us for any querries. cream beige colour occasion wear semi-stitched dress material. giving you an awesome rich look.best suited for special occasions like wedding wear, engagement wear, festive wear etc. we can customize the clothing in terms of designs, color, sizes etc., exclusively as per your wish s g h fashion mohmmad. this designer anarkali suit made by georgette faric. This Saree Is Fabricated On Silk Georgette Paired With Net Fabricated Blouse. This Saree Is Fabricated On Georgette Paired With Crepe Silk Fabricatd Blouse And Net Fabricated Cape. This Saree IS fabricated On Shimmer Georgette Paired With Art Silk Fabricated Blouse. ~ Sample orders are welcome if you have regular and quantity requirements. ~ Contact us for the best price lists, fabric details and dimensions. ~ Wholesale discounts upto 50% on website prices for quantity orders. With new styles being developed almost every week, we try to keep pace with the ever changing needs of the overseas clients. Quality control We ensure that our entire collection is in compliance with the quality standards of the industry. Our Clientele With regular exports to over 20 countries worldwide our products have been widely appreciated by our clients. Design Catalogue is available to choose from around 5000 designs readily available to offer. Custom design is also available, we always offer exclusive Designs to our different customers. Our designs are varied in needs and in tune with the latest Fashion trends and emerging fashions. 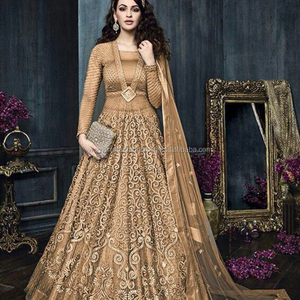 Alibaba.com offers 6,222 anarkali frock products. About 87% of these are india & pakistan clothing, 1% are evening dresses, and 1% are girls' dresses. A wide variety of anarkali frock options are available to you, such as adults, children, and infants & toddlers. You can also choose from in-stock items, oem service. As well as from salwar kameez, salwar, and kurta / kurti. And whether anarkali frock is women, girls, or men. There are 5,592 anarkali frock suppliers, mainly located in Asia. 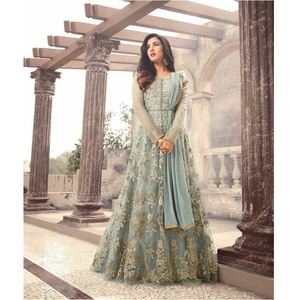 The top supplying countries are India, China (Mainland), and Pakistan, which supply 94%, 3%, and 1% of anarkali frock respectively. Anarkali frock products are most popular in North America, Domestic Market, and Mid East. You can ensure product safety by selecting from certified suppliers, including 217 with Other, 42 with ISO9001, and 3 with ISO14001 certification.